Right-Left: Mr. Toru Hasegawa, Divisional Managing Director, Solutions Division, Panasonic India; Mr. Manish Sharma, Managing Director, Panasonic India, Mr. Deepak Khanna, CEO- India Enterprise, Reliance Communications and Mr. Rishi Lodhia, CEO & Co-founder, Global Panasonic Cloud Management Service. 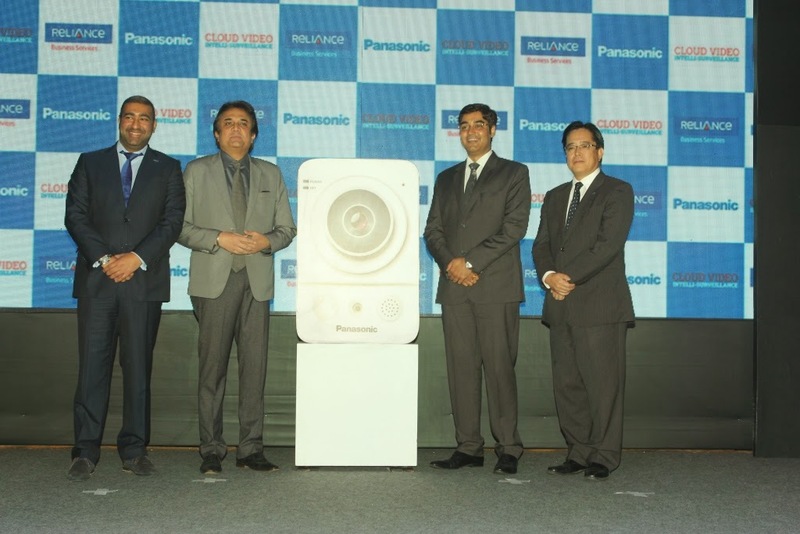 23rd January 2015, Mumbai, India: Panasonic India, in association with Reliance Communications (RCOM), today launched Cloud Video Intelli-Surveillance - an end-to-end video surveillance solution with advanced analytics for the Enterprise segment. Combining Panasonic's global domain expertise in surveillance cameras and video analytics with Reliance's countrywide network and data center infrastructure, Cloud Video Intelli-Surveillance is designed as an integrated solution to bring advanced surveillance within easy reach to Enterprises across the country. RCOM’s Enterprise Business arm will take this solution to the market, leveraging its deep relationship with over 39,000 businesses across the country. Providing physical security to humans and assets, especially in the context of prevailing social environment, is a significant challenge for Enterprises, particularly those with distributed operations. It is prompting organizations, authorities and individuals to devise effective response mechanisms today. Keeping these concerns in view, Panasonic, along with Reliance Communications, is amongst the pioneers to provide 24*7 access to video footage on any connected device: PC, Mac, Mobile phone and Tablet, while being on the move. The solution will find its use in almost all verticals, particularly Hospitality, Education, Retail, Healthcare and BFSI (Banking, Financial Services & Insurance) sectors. Cloud Video Intelli-Surveillance is packed with a host of offerings, such as easy scheduling, managing IP cameras fully in the cloud and advanced cloud video analytics like Human Detection, Tripwire and many more. This solution also offers various advantages such as Alerts, API usage, User Management and HD-like image quality. 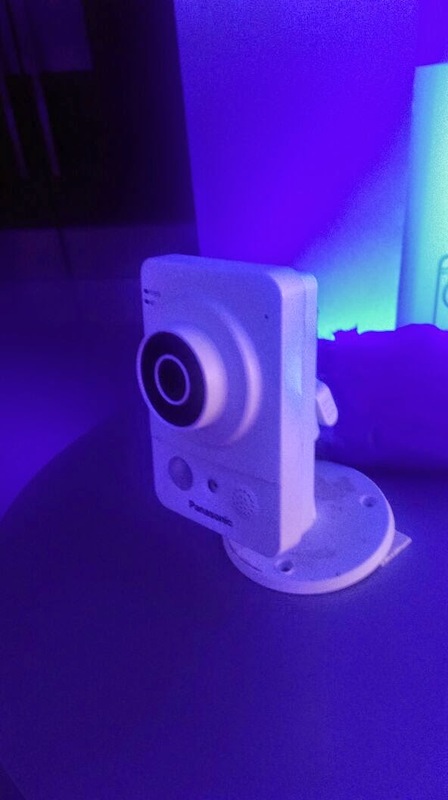 With apps available for iOS & Android devices, one can easily access their cameras on-the-go. This allows for seamless checking of live streams and footage or receiving push notifications during the course of an event. analytics in combination with real time surveillance. Also, the new solution will surely enhance our presence in the market by bringing together the technical know-how and software skills that equip us with necessary assets to be able to respond to future demands for different verticals. An efficient video surveillance management system demands significant amounts of storage infrastructure, bandwidth, high-end cameras and a strong analytics platform. The partnership of Panasonic and Reliance communications signifies the coming together of all these parameters into one integrated solution. Panasonic Corporation is a worldwide leader in the development and engineering of electronic technologies and solutions for customers in residential, non-residential, mobility and personal applications. Since its founding in 1918, the company has expanded globally and now operates around 500 consolidated companies worldwide, recording consolidated net sales of 7.74 trillion yen for the year ended March 31, 2014. Committed to pursuing new value through innovation across divisional lines, the company strives to create a better life and a better world for its customers. For more information about Panasonic, please visit the company's website at http://panasonic.net/. Panasonic makes available in India its wide range of consumer electronics, home appliances like LCD & Plasma TVs, DVD players, Home Theatre Systems, Smartphones, Cameras, Camcorders, Car Audio Systems, Air Conditioners, Washing Machines, Refrigerators, Microwave Ovens, Automatic Cookers, Vacuum Cleaners and a wide range of system products including communication ones like Mobile Phones, High Definition Videoconferencing, Professional Audio Video products like Broadcast Cameras, Projectors and Displays, Business Solutions including Printers, Whiteboards, Security Solutions, and Energy Storage Solutions. The company currently has a workforce of about 13,000 in India. For more information on the company and the Panasonic brand in India, please visithttp://panasonic.co.in. Reliance Communications Limited founded by the late Shri Dhirubhai H Ambani (1932-2002) is the flagship company of the Reliance Group. The Reliance Group currently has a net worth in excess of Rs. 91,500 crore (US$ 15.3 billion), cash flows of Rs. 10,200 crore (US$ 1.7 billion), net profit of Rs. 4,700 crore (US$ 0.8 billion). Reliance Communications is India's foremost and truly integrated telecommunications service provider. The Company has a customer base of about 118 million including over 2.6 million individual overseas retail customers. Reliance Communications corporate clientele includes over 39,000 Indian and multinational corporations including small and medium enterprises and over 290 global, regional and domestic carriers. Reliance Communications has established a pan-India, next generation, integrated (wireless and wireline), convergent (voice, data and video) digital network that is capable of supporting best-of-class services spanning the entire communications value chain, covering over 21,000 cities and towns and over 400,000 villages. Reliance Communications owns and operates the world's largest next generation IP enabled connectivity infrastructure, comprising over 280,000 kilometers of fibre optic cable systems in India, USA, Europe, Middle East and the Asia Pacific region.